Fill out our zero-obligation estimate request form to schedule an estimate with one of our roofing experts. If you would prefer to call us, please dial (503) 585-2338 for immediate assistance. We have served the Salem area for more than 25 years, and have been ranked in the top 1% of all Oregon contractors. We are confident we will be the last Salem roofing company you ever need to hire. Feel safe knowing that your roof will be protected by industry-leading warranties, and your roof will be installed by manufacturer certified Salem roofing contractors. Additionally, we are fully licensed, bonded, and insured. Having your roof installed properly by reputable Salem roofers rather than the "cheap" contractor will save you thousands of dollars. We pride ourselves on providing our customers the best value for their money. We have partnered up with lenders to provide our customers with a variety of flexible payment options, including low-interest loans with low monthly payments. A quality roof should be affordable to everyone. Ask us about financing your roofing project. In addition to being better for the environment, our energy efficient roofing options can save you up to 15% per month on your heating and cooling costs. They are Energy Star compliant, and they last 30-50 years on average. Why Choose Slate & Slate Roofing? 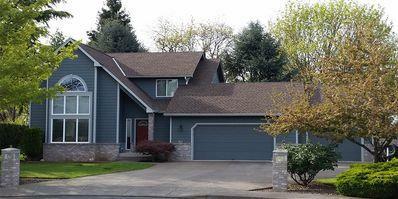 We are a local, family-owned roofing company that has been serving the Willamette Valley area for nearly 30 years. During this time, we've developed a name for ourselves by providing great value to our customers. We provide fair pricing and the highest quality of work. We are fully licensed, bonded, and insured, our roofers are manufacturer certified, and we are able to offer our customers the best warranties in the business. We attend several continuing education events each year to stay up-to-date with current industry trends, leading installation techniques, and learn more ways to bring value to our customers. With millions of square feet of roofing material installed over our years, we have	won dozens of industry awards, been ranked in the top 1% of all Oregon contractors by Buildzoom, and we have earned high reviews on Yelp, Facebook, and Google from our customers. If you want your roof done right, on budget, and with a great deal of respect and care to your home or business, you should consider hiring us as your go-to Salem roofing company. We have installed composition, metal, wood shake, and flat roofs on thousands of homes and businesses in Salem, and we would be glad to provide references upon request. 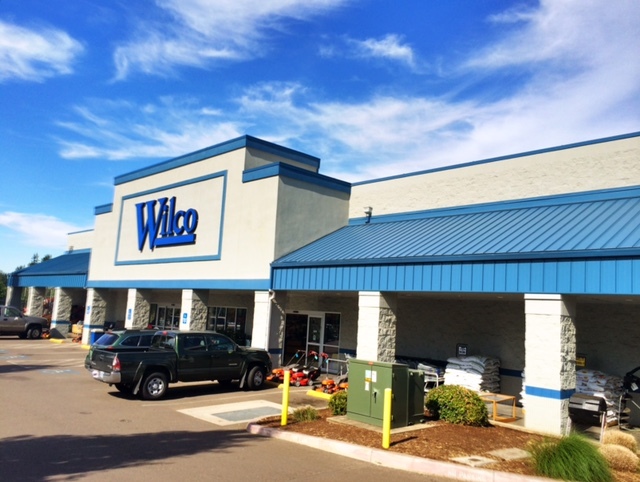 We have been trusted to install single-ply membrane, metal, and composition roofs for some of the biggest companies in the Willamette Valley. 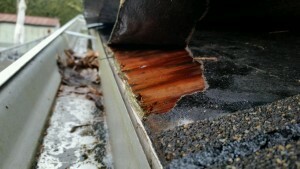 Salem's rain has been known to cause roof leaks, but rest assured, protecting your home from further damage is our top priority. We make quick repairs. If you prefer the timeless look of an asphalt shingle, we are among the few preferred Salem roofing contractors to attain some of the top certifications with two of the top composition roof manufacturers: GAF and CertainTeed. Our certifications allow us to offer our customers the best warranties in the industry, along with the peace of mind that you're getting a quality installation from a vetted professional. We work with local metal roofing manufacturers, Bruce & Dana, Taylor Metal, and Metallion Industries to provide our customers with sustainably sourced, high efficiency, and durable metal roofing systems. Metal roofing is a tremendous investment for many homeowners, as it tends to last 30-50 years, reduces energy costs, and many come with a lifetime warranty. We have been installing metal roofing in Salem for decades. Wood shake roofing is considered to be among the more elegant and timeless roofing options available. They have a classic look and feel, they offer natural insulation up to twice that of an asphalt roof, and they can be coated to better resist natural issues like moss and algae. Our cedar shake roofs last around 30 years, and they look great for most of their lifetime. We also offer metal tile shingles that look like wood shakes. 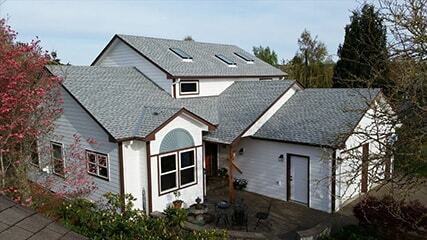 You can save big with single-ply flat roofing in Salem. 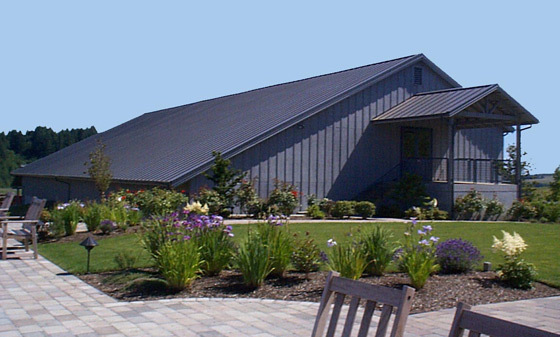 Our Oregon-based manufacturer, IB Roofing, produces high quality membrane roofs suitable for both homes and businesses. Installing one of these roofs can save you up to 15% on heating and cooling costs, and they are Energy Star compliant. There are lifetime warranties available for residential customers, and long-term warranties for commercial customers.